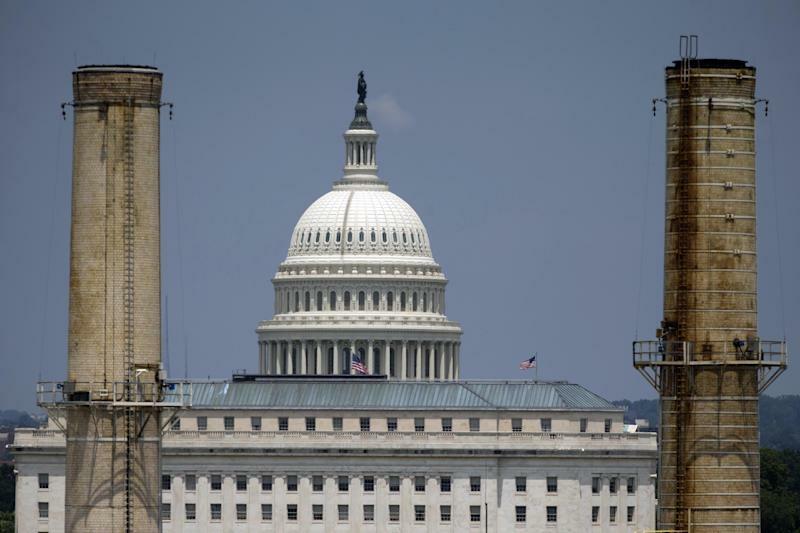 WASHINGTON (AP) — Within weeks, President Barack Obama's administration is set to unveil unprecedented emissions limits on power plants across the U.S., much to the dismay of many Democratic candidates who are running for election in energy-producing states. Fearful of a political backlash, they wish their fellow Democrat in the White House would hold off until after the voting. But Obama can't wait that long. Unlike the Keystone XL oil pipeline, whose review the administration has delayed, probably until after November's elections, the clock is ticking for the power plant rules — the cornerstone of Obama's campaign to curb climate change. Unless he starts now, the rules won't be in place before he leaves office, making it easier for his successor to stop them. So even though the action could bolster Republican attacks against some of this year's most vulnerable Democrats, the administration is proceeding at full speed. Obama's counselor on climate issues, John Podesta, affirmed that the proposal will be unveiled in early June — just as this year's general election is heating up. "Having this debate now will only injure Democrats," said Hank Sheinkopf, a longtime Democratic strategist. "Democrats are in trouble. The best thing when you're in trouble is to avoid further controversy." To be sure, Americans generally support cutting pollution. A Pew Research Center poll late last year found 65 percent of Americans favor "setting stricter emission limits on power plants in order to address climate change," while 30 percent were opposed. But Democrats are fighting most of their toughest races this year in conservative-leaning states that rely heavily on the energy industry, including Louisiana, Arkansas, Kentucky, West Virginia, Alaska and Montana. Already, conservative groups have spent millions accusing Democrats in those states of supporting energy policies that would impede local jobs and economic development. Never mind that it's Obama's administration — not House or Senate candidates — drafting the rules. Even when Democrats try to distance themselves from Obama on the issue, Republicans say that's evidence that congressional Democrats are impotent to rein in their party's out-of-control president. Republican Rep. Steve Daines, who is running to unseat Democratic Sen. John Walsh in Montana, calls the new rules part of a broader war Obama is waging on Montana's jobs and families. Daines said in an interview, "The Democratic-led Senate has been complicit in supporting President Barack Obama's war on coal, and Montanans don't like it." Seeking to head off those arguments, some Democrats already are assailing the expected new rules in hopes voters won't lump candidates together with Obama in states where the president is highly unpopular. Rep. Nick Rahall, a Democrat from coal-rich West Virginia and a top GOP target, said an earlier Obama plan affecting only new power plants "hinged on fantasy and endangers our economy." "Count me as a skeptic, but I expect the EPA's proposal for new regulations aimed at existing plants to be just as far-fetched and unworkable," Rahall said. Last year, the administration proposed the first-ever carbon dioxide limits on newly built power plants, drawing fierce criticism from energy advocates from both parties who say the technology to capture enough pollution to meet those standards isn't yet commercially viable. Climate activists say the next step — rules cracking down on existing plants — are even more critical to curbing the pollutants blamed for global warming. Unlike with new plants, the Clean Air Act doesn't let the government regulate emissions from existing plants directly. Instead, the government will issue guidelines for reducing emissions, then each state will develop its own plan to meet those guidelines. — In early June, the EPA is supposed to propose the overall rule, known as a draft. — Then there's a full year in which the public can comment, the EPA reviews those comments and makes any revisions before finalizing in June 2015. — States then have another full year to submit their implementation plans, by June 2016. — The EPA must then review each plan individually before deciding whether to accept it or force a state back to the drawing board. Expect litigation — especially in Republican-led states that oppose the rules to begin with. — Obama's presidency ends soon after, in January 2017. White House officials declined to say whether Democratic candidates or lawmakers have reached out to the White House's political office to ask for the rules to be delayed until after the election. Obama plans to play an active role in promoting the change by speaking about it once it's released, officials said. Meanwhile, conservative groups are ready to attack. The American Energy Alliance, which has spent more than $1 million on television criticizing Obama's energy policies and candidates who support them, said it's more than likely the emissions rules will wind up in the group's ads this year. "It wouldn't matter when they were coming out, but it just so happens to be an election year as well," said Tom Pyle, the group's president. "That's not something that's gone unnoticed by us."